Unregistered household enterprises comprise a significant portion of Nigeria’s economy, accounting for as high as 65 percent of GDP, says the International Monetary Fund (IMF) in a blog article seen by businessamlive. 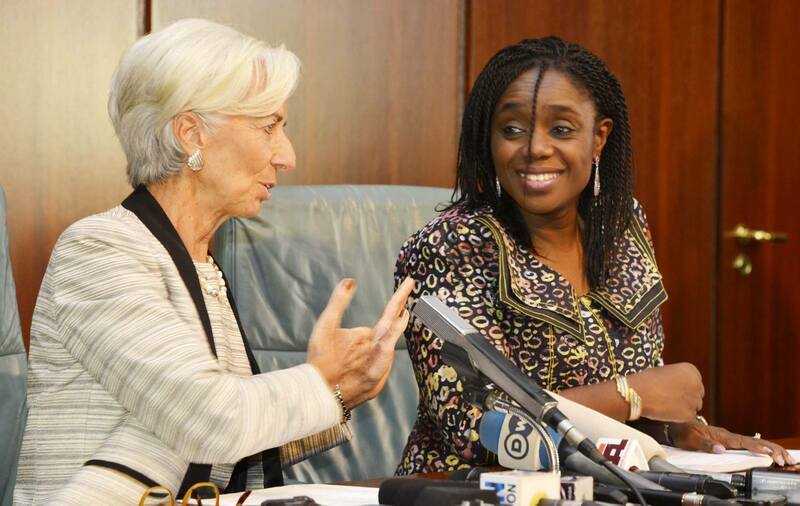 The IMFblog chat entitled: The Potential for Growth and Africa’s informal Economy, indicates that by 2035, sub-Saharan Africa will have more working-age people than the rest of the world’s regions combined with pressure on governments to provide jobs for them, adding that the size of Nigeria’s informal economy stands at 65 percent of GDP. The blog stated that in sub-Saharan African, up to 90 percent of jobs outside agriculture are in the informal sector, including household enterprises that are not formally registered, like street vendors or domestic workers as well as off-the-book activities by registered firms—for example, the taxi driver that offers a discount if the meter is not turned on. “The informal economy in sub-Saharan Africa is the second-largest in the world, after Latin America and the Caribbean. From 2010 to 2014, sub-Saharan Africa’s informal economy accounted for 38 percent of GDP to the region,” the IMF said. It, however, added that within the region there is significant variation in the size of informal economies. They range from a low of 20 to 25 percent of GDP in Mauritius, South Africa, and Namibia, to a high of 50 to 65 percent in Tanzania and Nigeria. The IMF stated that informality persists even in advanced economies, which means that the shift from informal to formal will take many years. “What drives informality in the region? Survey data show that the primary motivation for starting an informal business is to fulfill an aspiration for the future. A third of new entrepreneurs in sub-Saharan Africa, however, report choosing this path out of necessity—most would prefer a job in the formal sector, but don’t have that option,” it said. The informal economy is described as acting as a social safety net as it provides employment and income to many people that may otherwise be unemployed in the absence of sufficient opportunities in the formal sector. “Household survey data suggest that people working in the informal sector consume more goods and services than those in the agricultural sector in many countries,” it stated, adding that productivity levels are however low. “In sub-Saharan Africa, on average, the productivity of informal firms is only one-fifth to one-quarter that of formal firms. These differences likely reflect a combination of lower skill levels among workers, and a lower level of physical capital. In a country where the informal sector is large, the rate of economic growth is reduced. To this end, the chat advised countries on the need to adopt a balanced approach in the design of policies to grow to the formal sector. “This means focusing on ways to increase the productivity of the informal sector, while working to support the expansion of formal businesses,” adding that policies that improve access to finance, make it easier for small firms to enter the market, and increase access to electricity could go a long way in formalizing the informal sector. “This will be key to creating the types of jobs that are most desirable among sub-Saharan Africa’s expanding workforce,” it concluded. PreviousHas agile management’s moment arrived?